There are plenty of reasons why Mallorca has become one of the most popular islands of the Mediterranean. Sure thing is that Palma, its capital city, if one of the most beautiful cities in Europe and that the island also has over 260 beaches and coves that are just impressive. But there’s another big reason why hundreds of visitors fall in love with our island: its charming villages. If you have been in Mallorca you’d probably already know that wherever you go there will be something amazing waiting. And Mallorca’s towns and villages are no exception. 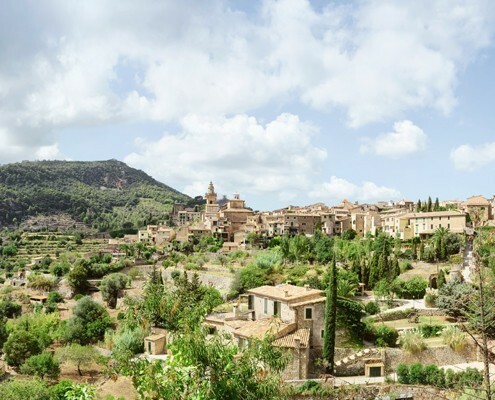 Although there is a long list of beautiful towns, at Nakar Hotel we give you our top 8 selection of towns and villages to visit when visiting Mallorca. Let’s start the tour! 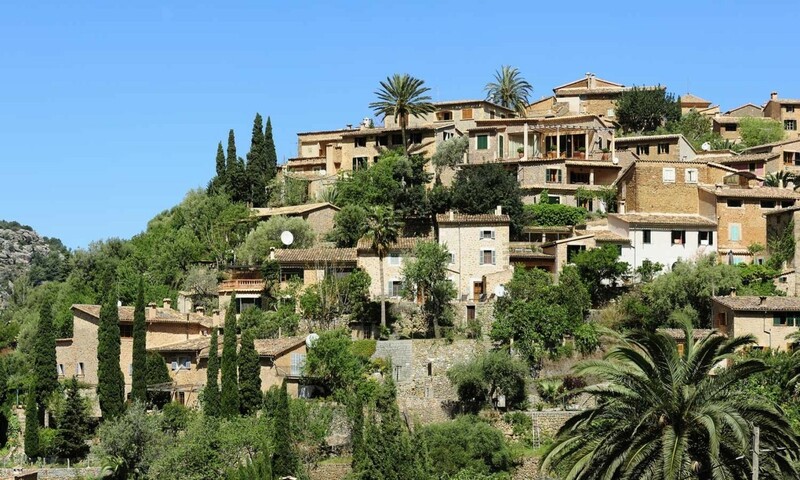 Valldemossa: saying Valldemossa is a must-visit is an understatement. This cobbled village in middle of the mountains reminds us of one of the Grimm’s fairy-tales. If it was enough inspiration for Frederic Chopin himself, it sure will be inspiring for you! Deià: several times included in the list of Spain’s most beautiful villages, Deià is a small village consisting of many stone houses that fit perfectly in the Tramuntana mountain range. Little advice: if you go visit at sunset you’ll never want to leave! 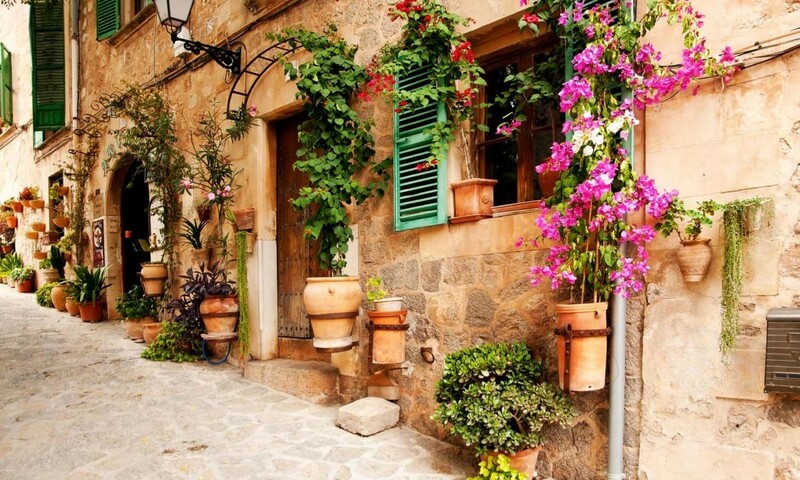 Fornalutx: located above Sóller’s valley, Fornalutx is known as ‘the most beautiful village in Spain’. Its red tiled roofs, cobbled streets and beautiful church are just <3. 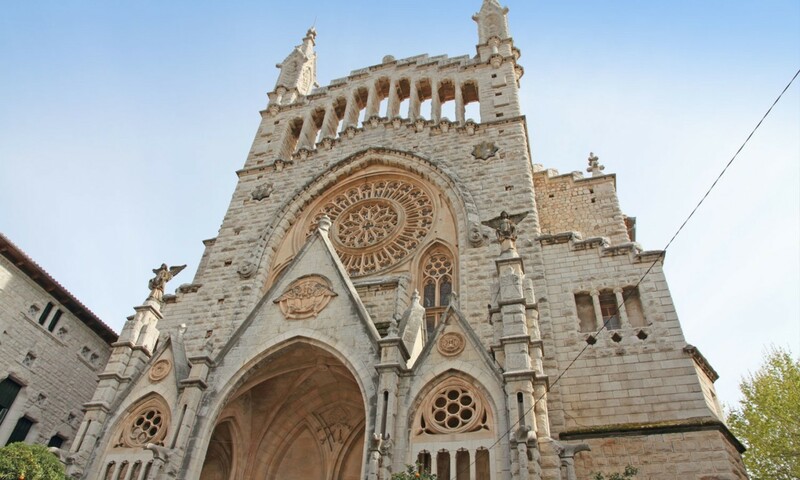 Sóller: this town located in middle of the ‘orange valley’ also known as ‘the golden valley’ is located in the Northwest of Mallorca and attracts hundreds of visitors thanks to its beautiful church, center and tram connecting the town to its port. Santanyí: this town that also gives its name to the municipality is located in Mallorca’s Southeast in a spectacular natural setting. Its market (always on Wednesdays and Saturdays) has become a part of Majorcan tradition. 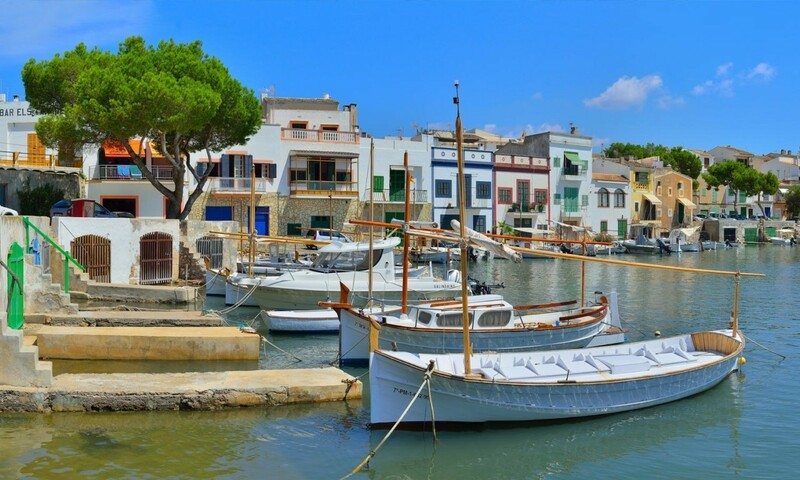 Llucalcari: also known as ‘es Carrer’ this very little village is located at the coast of the Serra de Tramuntana. One of its attractions is its defense tower and the little chapel in the center. Cala Figuera and Portocolom: despite these two villages are not located near each other, we had to mention them together because they share there main attraction: their little romantic ports. We encourage you to take a walk, have an ice-cream watching the little boats. That’s what we call ro-man-tic!